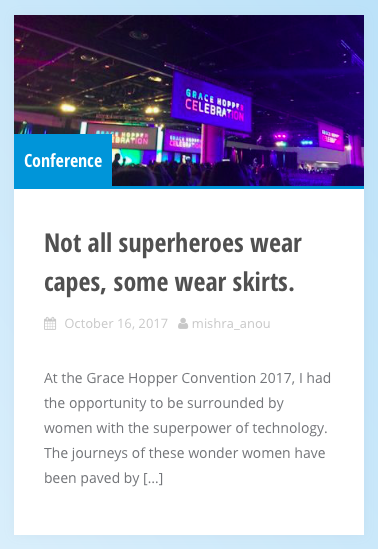 CIS Senior Anoushka Mishra was invited by CIS faculty to attend the 2017 Grace Hopper Conference. Grace Hopper was an American computer scientist and United States Navy rear-admiral. She was a pioneer of computer programming. Let’s hear what Anoushka has to say about her experience!